The First Judicial District Commission on Judicial Performance unanimously recommends that Judge Christopher C. Zenisek BE RETAINED. 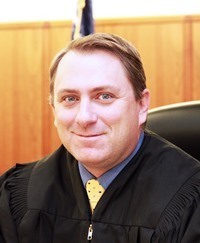 Judge Zenisek was appointed to the First Judicial District Court in December 2011. This is his first performance review since being appointed to the bench. Judge Zenisek received his undergraduate degree from the University of Colorado and his J.D. from the University of Denver. Before joining the Court he was an Assistant District Attorney for the 20th Judicial District in Boulder. Prior to 2009 he was in private practice with the law firm of Brownstein Hyatt Farber Shreck, P.C. Judge Zenisek is a member of the Colorado Supreme Court Civil Rules Committee, a member of Access to Justice Hearing, a member of the Monthly Luncheon Committee for the First Judicial District Bar Association, a mentor in the Mentor Program at the University of Denver College of Law and a member of the Colorado Bar Association. He is also a judge for the High School Mock Trial competitions. He coaches his son’s soccer team and believes that community involvement is extremely important. Judge Zenisek presides over a mixed docket of criminal, civil and domestic relations cases. Survey results from attorneys and non-attorneys show that Judge Zenisek has good judicial demeanor and shows patience and respect for participants. He is prepared and timely in his rulings and is very good in his application of the Law. Survey results from both attorneys and non-attorneys reveal few weaknesses. He was, however, criticized for a lack of control and needing a better presence in the courtroom. Some attorneys felt that he was somewhat biased in favor of the prosecution. Based on the above, the Commission unanimously recommends that Judge Zenisek BE RETAINED.